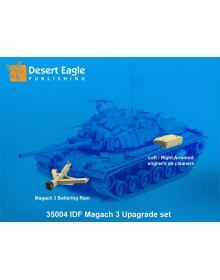 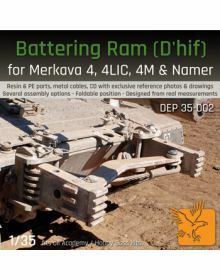 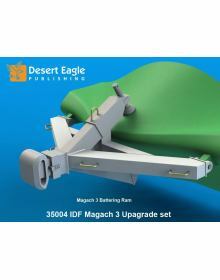 IDF MAGACH 3 (M48A3) BATTERING RAM.Mini-Kit includes:- Resin parts of Magach 3 Battering Ram- Templa..
ΚΑΤΑΛΛΗΛΟ ΓΙΑ ΟΛΑ ΤΑ ΚΙΤ MENG / ACADEMY / HOBBY BOSS.Resin & PE parts, metal cables, CD with exc..
Resin & PE parts, metal cables, CD with exclusive reference photos & drawings. 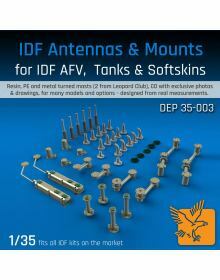 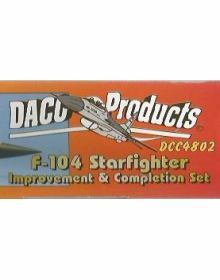 Several assembly opti..
FOR ALL 1/48 HASEGAWA STARFIGHTER KITS.VERY ACCURATE & HIGHLY DETAILED PLASTIC INJECTION KITOVER..
IDF COMMUNICATIONS & NAVIGATION ANTENNAS FOR IDF AFV, TANKS AND SOFTSKINS.RESIN, PE AND METAL TU..
DEP-35004 LIMITED EDITION 1/35 MINI-KIT: IDF MAGACH 3 (M48A3) UPGRADE SET.Mini-Kit includes:- Resin ..
DEP-35005 1/35 MINI-KIT: P-BRIDGE ADAPTERS FOR MERKAVA Mk. 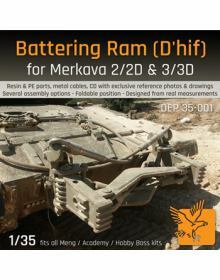 1, 2 & 3.Kit characteristics are:Full res.. 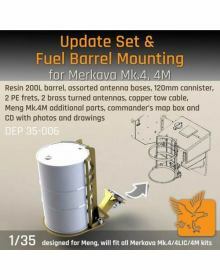 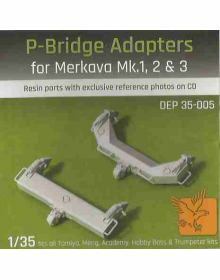 DESIGNED FOR MENG, WILL FIT ALL MERKAVA Mk.4/4LIC/4M KITS.Kit characteristics are:Full research base..